If you have been arrested and charged with the crime of dui and are searching for a dependable dui lawyer in Wimauma call the office of Finebloom, Haenel & Higgins. Our firm provides the highest quality dui lawyers Wimauma residents can hire for representation in their dui case. If you have been arrested in Wimauma, it is possible that English may be your second language. Many Wimauma residents are Hispanic speaking mostly Spanish in the home and at work. This can complicate your dui arrest and make for special challenges and defenses. If this is the case you need to hire a Wimauma dui lawyer who is prepared to make these challenges. Wimauma is a rural area. Dui lawyers not fully familiar with rural traffic stops may not have the ability to provide a complete defense to a client arrested as a result of this type of stop. At Finebloom, Haenel & Higgins our attorneys have represented clients stopped in numerous ways and numerous places including rural stops such as those made in Wimauama. Dui attorneys of our caliber have the ability to competently represent you in this situation. Rural stops can pose challenges to the inexperienced dui attorney. Wimauma and other rural sections of Florida are not always well lit. The terrain and conditions are not always ideal for the performance of the field sobriety exercises relied on by deputies in their dui investigation. If the attorney is not familiar with the best way to address the unique defenses available from these conditions your case could be lost. If convicted of a Wimauma dui, you face very expensive and time consuming sanctions. For your first offense, there is a license suspension for 180 days to a year, a minimum of 50 community service hours, and fines up to $2,000. It is also possible to receive between six and nine months in the county jail depending on your breath alcohol level. For your second dui offense, penalties can include 10 days of mandatory jail time, fines up to $4,000, and license suspension for up to 5 years. Again, much will depend on your blood alcohol level and the date of your last conviction. For your third dui offense you can be charged with a third degree felony. Penalties can include 30 days mandatory jail time, a $4,000 minimum fine, and a 10 year license suspension. For a fourth dui offense you will be charged with a felony. You can receive up to 5 years in prison and your driver’s license will be revoked for life! Don’t take a chance! Hire the best dui attorneys in Wimauma to fight for you! Call Finebloom, Haenel & Higgins at 813-200-4412 to discuss your options. We have the knowledge and experience necessary to fight your dui case. 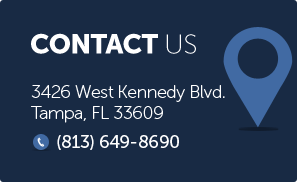 Our dui attorneys are standing by 24/7 to talk to you. Call us now and fight your case.